When I received an invitation to play at this years Reef Festival at Whitsunday’s Airlie Beach, a flame ignited in my heart with excitement to be heading back to a place that feel a strong connection too. Growing up I travelled extensively up and down the East Coast of Queensland, and spent quite a few years in this beautiful part of the world. In my late teens after finishing year 12, curiosity and my love for the tropics drew me back to Airlie Beach, I was intrigued to see if it had changed much since my childhood. My time was spent mostly on the water working as a deckhand and hostess on yachts around the whitsunday islands.. I’m excited to be heading back to to share my music on the the main stage of the Reef Festival with The Basics (Gotye) . A while back I was given some wise advice, and the experience has stayed with me ever since. I was in Melbourne and by chance I met an old man in Fitzroy. We ended up sharing numerous cups of tea that day and talking about all the ways of the world. It’s such a special memory for me and I hope he knows how much I cherish that time we spent together. My song Top of the Tower is inspired from his words of wisdom. I couldn’t help but share them with the world to hopefully inspire others too. 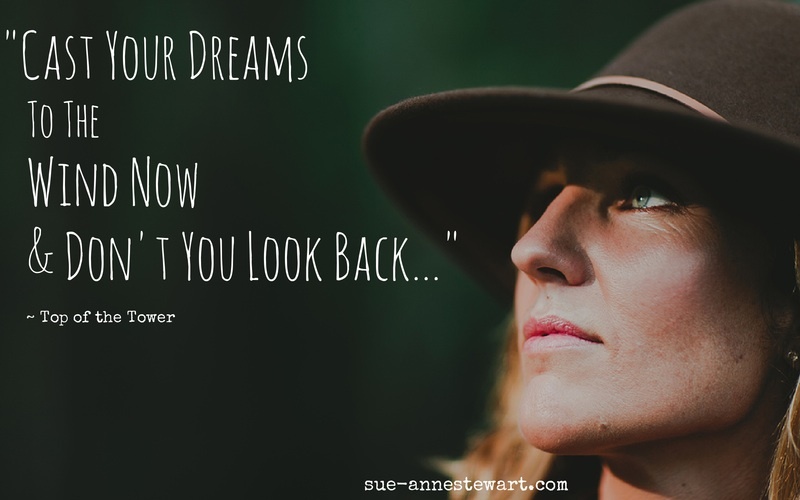 As well as playing music, I love storytelling and this song brings back the memories of that time and is a reminder for me to keep following my heart and my dreams. Have you ever just put your dreams out there and never looked back? Thrown caution to the wind to just let it unfold? I would love to hear any of your experiences in the comments below… who knows – maybe you’ll inspire another song from me!